Passing the Wisconsin written exam has never been easier. It's like having the answers before you take the test. Our step-by-step process is easy to follow, making your license application a breeze! Get yourself prepared BEFORE you visit the DOT. The Department of Transportation (WisDOT) and Division of Motor Vehicles make it easy to apply for your new WI driver's license, whether you're a resident, you've just moved to the state, or you're a non-citizen. The Wisconsin DMV now issues federally-compliant REAL ID driver’s licenses in addition to non-compliant driver's licenses. REAL IDs allow you to use your license for domestic travel and entry into federal and military buildings. For more details on WI REAL IDs, see below. You're required to apply for your Wisconsin driver's license within 60 days of establishing residency. Your application process is the same as outlined below under “Apply for Your WI Driver's License"; however, there are a few special considerations based on whether your current license is valid/expired or suspended/revoked. Take the written and driving exams ONLY if your license is expired more than 8 years. You're younger than 21 years old. You have fewer than 3 years driving experience. Your out-of-state license is expired more than 6 months. Otherwise, you'll receive a full Class D driver's license. * See Class D Probationary and Full Licenses below for more information about probationary licenses. If your out-of-state license is suspended or revoked, you must contact your former state and have your license reinstated based on that state's requirements. Once this has been done, you can apply for a WI driver's license. See our section on Suspended Licenses for information about suspensions and revocations in your state. NOTE: If your offense was one that also would require mandatory suspension or revocation in Wisconsin, contact the WI DMV at (608) 266-2353 for further assistance. If you have an OWI conviction from another state, you must undergo assessment and complete an alcohol education program before the WI DMV will issue you a driver's license. This applies even if you've already met your former state's OWI requirements. Contact the state's Alcohol/Drug Review Unit at (608) 261-8202 for details about assessment and education programs in Wisconsin. As long as you don't have outstanding license suspensions, revocations, or cancellations, you can apply for a WI driver's license. If you do have any of these issues, find out how to resolve them in our Suspended License section. You are a foreign tourist* and have a valid driver's license OR international driving permit (IDP). This exception is good for 1 year, after which you must obtain a WI license. You are a member of the Armed Forces or a military dependent stationed in Wisconsin. You are employed by an out-of-state company and in Wisconsin for job training or other business. Learn more about driving as a foreign tourist with a probationary license. When applying for your license, make sure you're prepared for each part of the process. To apply for a Wisconsin driver's license, visit your nearest WI DMV with a completed Driver License Application (Form MV3001) and proofs as outlined below. Your name and date of birth (e.g.,certified birth certificate, employment authorization card, etc.). Identity (e.g., Social Security card, military discharge papers, etc.). U.S. citizenship OR permanent legal presence, conditional resident status, or temporary visitor status. (e.g., valid U.S. passport, valid I-551, etc.). Wisconsin residency (e.g., utility bill dated within the last 90 days, mortgage or rental agreement, etc.). Any legal name change (e.g., marriage certificate, divorce decree, etc.). Again, the WI DMV provides complete lists of acceptable documents; the examples we've provided above are only examples. 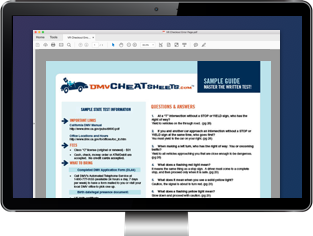 The DMV's list covers proofs valid for both REAL ID-compliant driver licenses and non-compliant versions. Read REAL ID Driver Licenses below for more information on those licenses. The DMV might refer you to an eye specialist if you don't pass. This might lead to a license with certain vision-based restrictions. Pass the knowledge exam (no appointment required). Knowledge tests are computerized and take approximately 45 minutes to complete. You can have 5 attempts in 1 year; after that, you need permission from the DMV to continue testing. Once you pass your vision and knowledge exams, you'll receive an instruction permit. You'll need to hold the permit for at least 7 days; this is to give you time to practice driving for your skills test. Driving instructor who is at least 19 years old. Parent, guardian, or spouse with a regular Class D driver's license who is at least 19 years old. Friend or other acquaintance with a regular Class D driver's license who is at least 21 years old. NOTE: If you have a valid foreign driver license and passed the knowledge test, you can skip the instruction permit. After 7 days, you can schedule your driving exam. You must make an appointment for the exam. When you pass, you'll receive a temporary paper license with your photo valid for 45 days; your permanent license arrives in the mail within 10 business days. Regardless of age, all new drivers receive a probationary WI driver's license first. Because you're not a minor, you have NO probationary license-specific restrictions, EXCEPT that any driving record points you incur after your first conviction for a traffic violation are doubled. Note that if you tally 12 points or more within 12 months, your probationary license will be suspended for 6 months. Your probationary license is valid for 2 years from your next birthday; after that, you'll renew your probationary license for a full Class D driver license. Full licenses are valid for 8 years from your birthday in the year of issue. Class D probationary license: $28. As mentioned above, you can apply for a REAL ID-compliant WI driver license; these licenses require additional kinds of identification documents. The state's Acceptable Documents for a Wisconsin Driver License guide outlines all documents that satisfy the state's stricter REAL ID requirements. Wisconsin's REAL ID became effective January 14, 2013. Federal agencies will require REAL ID cards for federal purposes (i.e. entering federal buildings, boarding federally regulated commercial aircraft, etc.). The WI DMV now mails all permanent driver licenses as part of the REAL ID safety measures. REAL ID-compliant licenses are marked with a star in the upper right-hand corner. REAL ID licenses have the same fees as regular Class D licenses. You are not required to apply for a Real ID license; you can use a valid U.S. passport or other federally accepted identification documents for federal purposes.